A last-minute decision to visit Florence meant a lack of accommodation options. Hotels were mostly fully booked and mostly extortionate. 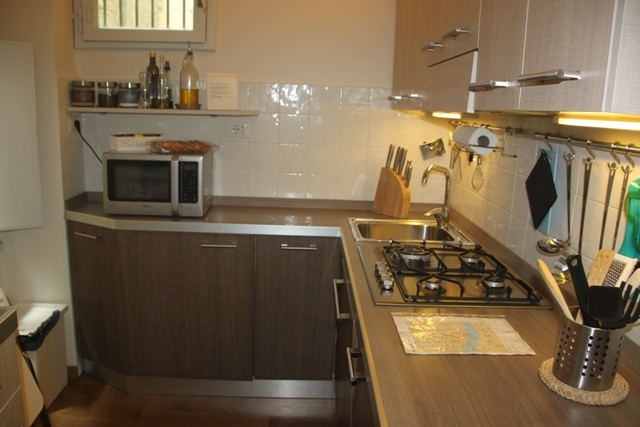 After much searching we stumbled upon an apartment – Apartment Francesca on HomeAway which happened to have availability for the three nights we wanted and those nights only. Serendipity, we booked it immediately. A bit of a false start getting there – the taxi driver tried to drop us off on a street that was the wrong one. Husband had looked at the location of the apartment on google maps the previous evening and this was not it. After a “discussion” with the driver, we were back in the taxi and this time dropped off in the right place. The owner – Simona – had been responsive, friendly and helpful during booking and was there to greet us (and take our money) when we arrived. A beautiful apartment with two bedrooms, two ultra modern bathrooms, a small but perfectly formed kitchen and a cozy living area. All mod-cons, add to that stylish and comfortable we loved it. Simona gave us restaurant recommendations, general tips and hints and basically set us up for exploring her city. We were told we would have to pay for the electricity we used during our stay – apparently to avoid abuse of the air-conditioning – we paid the princely sum of 2 Euro on leaving so no issue with that either. Those super comfy, luxurious beds were so massively appreciated after our less than comfortable experience in the Cinque Terre. We were warned a week before arriving by Simona about building work going on in another property in the same building. This was to be during working hours only – fine with us, we didn’t plan to be in Florence cooped up inside. Those workmen arrived promptly each morning at 7.50 am and commenced drilling and banging at 8 am on the dot. No lingering on those comfy beds, but at least it got us up and out. The apartment was gorgeous but the location topped that. 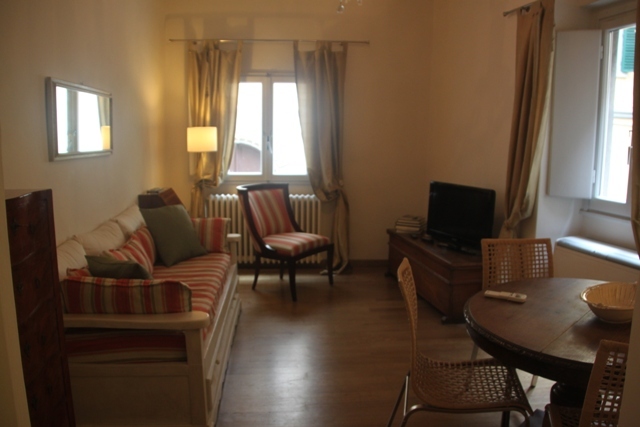 Just steps away from the Ufizzi, close to the river and a 5 minute stroll from the Ponte Vecchio, you can’t get much better than that. The whole area and all the streets surrounding it were lively and buzzing – bars galore, shops, little restaurants and stacks going on. 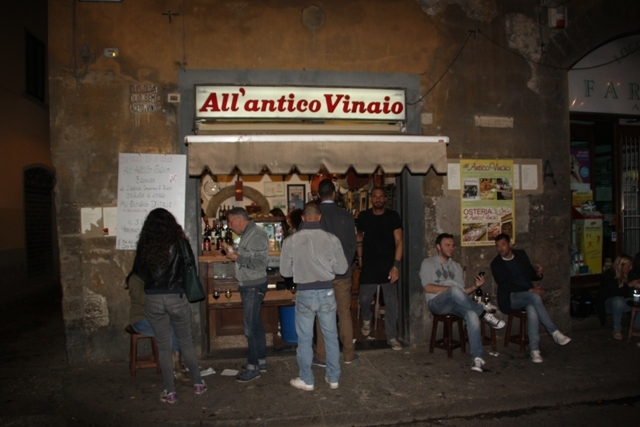 In the evenings we loved the ambiance, people sipping wine sitting on the pavement and snacking on food served from hole in the wall places, it was wonderful. 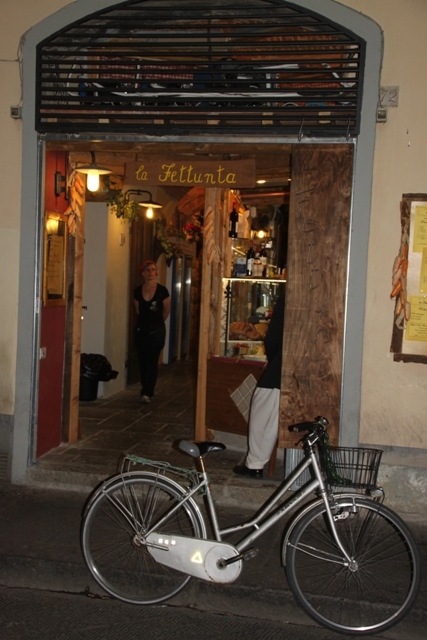 We had lunch in Ditta Artigianale on our first day – recommended by Simona, this is not a typically Italian place but with big, open windows and a friendly atmosphere, she highly praised their brunch. No quibbles with that, we feasted on fantastic Croque Monsieurs which more than set us up for a day of pavement pounding. 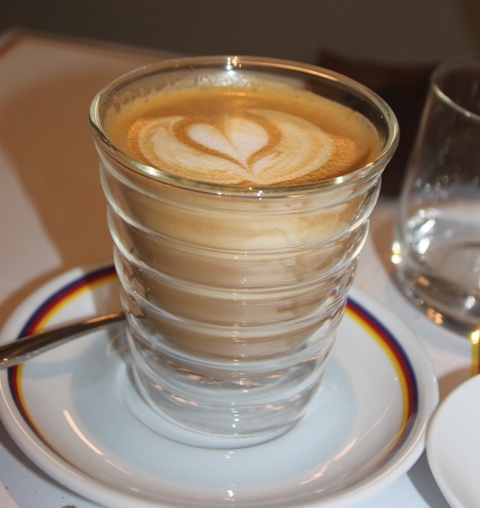 We loved it here so much it became our morning haunt for coffee and croissants. 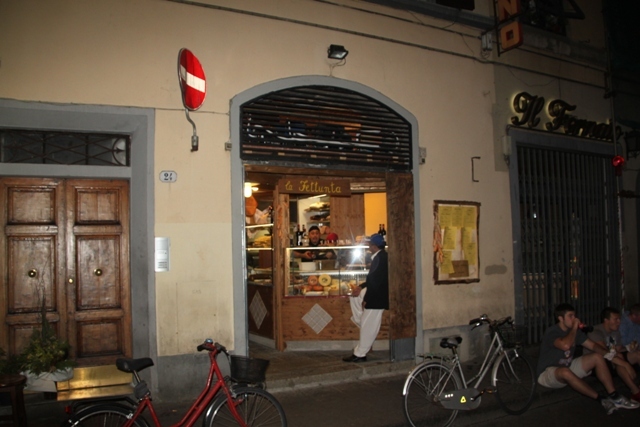 We had dinner at the Trattoria Anita on our first evening – again a Simona recommendation – steps away from the apartment, nothing fancy but traditional and the best food ever. We loved it so much we returned on our last night – something we almost never do. Son devoured pasta with sausage and cheese, I am still salivating over the sausage with white beans and Husband declared his steak superb. Probably the best food we had the whole time in Italy – a fitting last supper! We had a great time Kamila, loved all the buildings and artwork as well as the atmosphere and you are so right – the food is amazing. Would definitely like to visit Florence someday!! It’s a fabulous city, we had such a great time there and would definitely recommend visiting. We had three days Maria and were on the go all the time. That wasn’t enough but you just have to squeeze in what you can!! An added bonus too was that it was sunny but not too hot, definitely helps when you want to get around a lot. That sounds perfect! It’s definitely worth putting up with some minor hassle to be in a more central location I think. The location was amazing, so close to everything but still with a local feel to it, locals hanging out and eating in these little out of the way places. Extra bonus was we got an apartment for less than the price of a hotel room! Hi Joy . God that apartment looks terrific . I love the thought of doing what your doing. By the way so love the photos of the sea of red poppies. It looked awe inspiring, sad, moving, and so grandiose on the tv news here. I love that sort of sculpture it is believable. Thank you for liking my post on botany girl. The apartment was gorgeous – the poppies were amazing too!! Thanks for coming by here as well. Enjoying reading your outback posts, this area has always intrigued me so great to take a virtual journey there. Working my way through your posts, just stumbled upon your blog today but it’s great!! I am still sorting my pictures – I definitely went overkill in Florence but then it’s hard not to isn’t it? Glad you enjoyed it there too, looking forward to reading all about it! OMG, Florence really got me. I am a very romantic person and what you show with your pictures and words let’s me think when I might have the next possible longer weekend to go there. Not kidding!!! It’s wonderful Erika, am sure you would love it!! The food is so delicious, nothing fancy but absolutely wonderful! Thanks Sara, it was a fantastic trip and we loved Florence although I wouldn’t say no to a Rome trip sometime soon!! 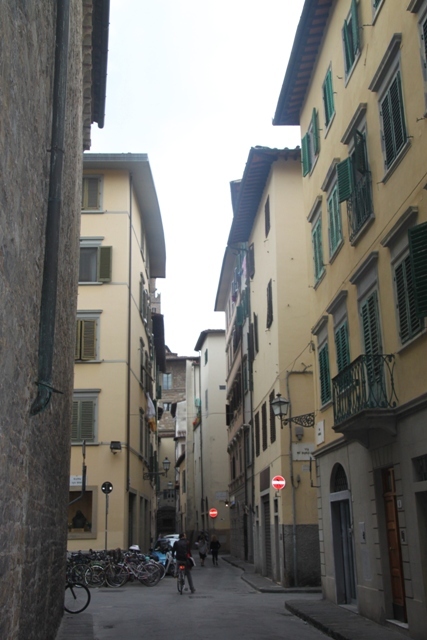 I am so enjoying these posts on Florence and making note of the places your mention. Keep the info coming. Thank you!! We had such a great trip there, it’s so much fun to write up the posts. It’s been a while since I went to Florence! Would definitely love to go back. The food you had at that trattoria sounds awesome! Yum! The food was incredible – I am still drooling thinking about it now, wish we had a little neighbourhood restaurant like that close by!! This reminds me so much of our time in Lisbon. The lovely apartment, and the little restaurants that made you feel like you were part of their family. This makes me miss it! 🙂 Thanks for sharing! Haven’t been to Lisbon (yet!!!) but if it’s like this we would love it! 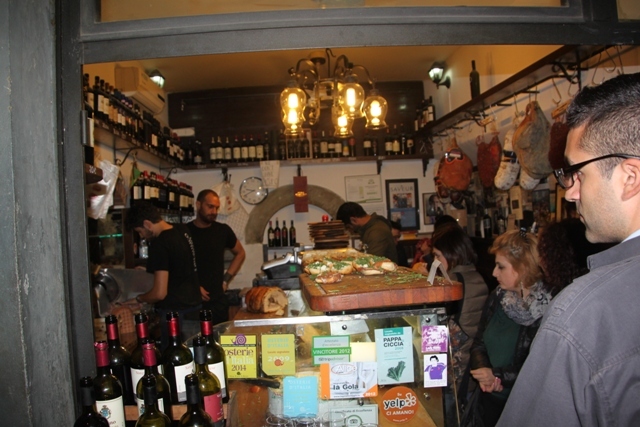 Florence was fabulous and eating where the locals recommend really made it extra special for us. The flat looks really nice and the bed cozy !!! You were right to try to squeeze it ! I’m sure you made the most of it ! We appreciated those beds so much I can’t tell you – a basic and less than good bed experience in our previous accommodation made us super thankful! The flat was amazing, such a fantastic place to stay in Florence. It’s a fabulous city – this was my second time there, hopefully that won’t be my last either!! We really loved strolling after dark – the streets were buzzing, a very special atmosphere. I completely agree Brian – we had so much space, it was a gorgeous place and less for all that than some of the hotel rooms we were quoted! I heard that no one actually lives in Florence anymore because most of the apartments have been made into guest accommodations. Tourism on that level is actually a bit scary to me – you’re very brave, Joy. Is it worth it? Never thought about that but it could be true – there is certainly a huge market for all those apartments to be rented by willing tourists Melissa. However the lady who owned ours actually walked out with us and went into a building a couple of streets nearby where she lived, maybe she was the exception to the rule? I’ve heard it’s that way in Venice. We had a wonderful time and loved our stay in Florence but you have to be able to deal with crowds!! 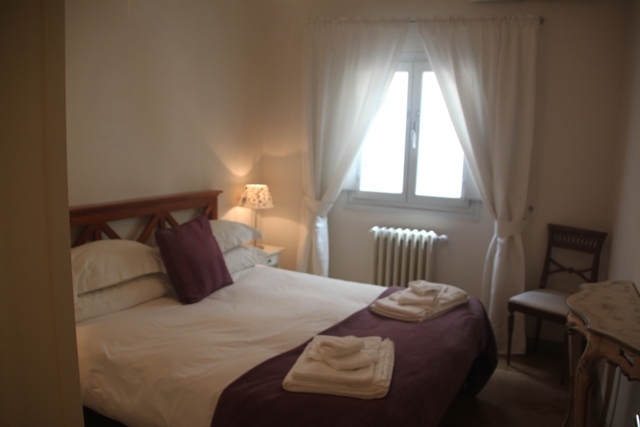 It was a beautiful apartment Rosemary – for us it was so much better than staying in a hotel. We got lots of extra space, cooking facilities (although in truth we didn’t use them at all) and right in the heart of the city. I would definitely stay there again! I know – luck was definitely on our side, it was such a wonderful place to stay – gorgeous apartment in the best location we couldn’t have found anything better. Apartment looks comfortable, many thanks for info and wishing you a great weekend! 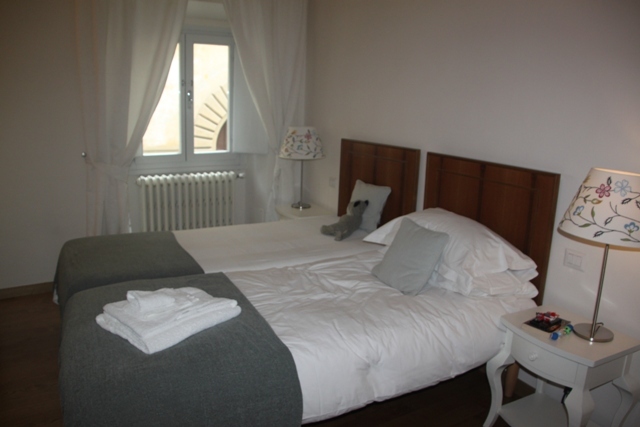 It was the perfect place to stay in Florence – a real home from home! Hope you have a great weekend too! Looks great! I love Florence. Wish I had seen your post earlier. Would have loved to try Trattoria Anita! 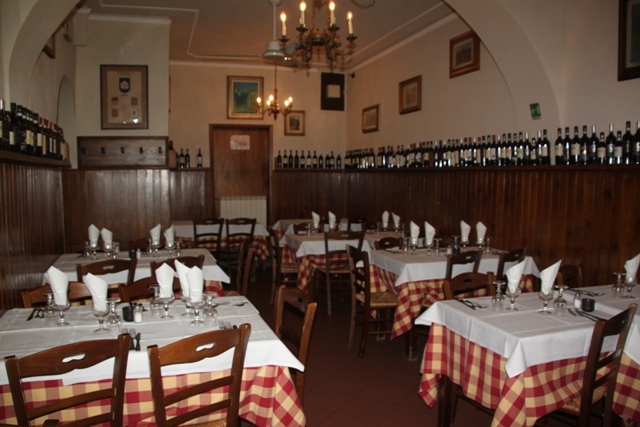 Trattoria Anita was fabulous – just drooling now thinking about that food!! So nice; I wish to visit Italy one day! Italy is a wonderful country, so many fabulous places to visit, we just loved Florence.